Would you like to know the latest updates from the well known Smartphone chipset company Qualcomm? If yes, check this article for the latest development from Qualcomm on its processor / chipset for Smartphone or Tablet PC etc. Many aware about the Qualcomm that produces various chipset mainly for the Smartphone or Tab devices etc. so, they have come up with some of the fresh updates on their processor advancement and additional features. If you would like to know more detail about them then find their detail herein below. At Mobile World Congress Shanghai, China 2017, Qualcomm Technologies, Inc., announced Qualcomm® Fingerprint Sensors, next-generation ultrasonic fingerprint solutions which bring new and enhanced features to the previous generation Qualcomm® Snapdragon Sense™ ID fingerprint technology for the upcoming gadgets. From the latest development, now the smartphone users can enjoy some more additional benefits in the near future, like, the suite of features will have sensors for Display, detection of directional gestures, Glass and Metal, and underwater fingerprint match and device wake-up. Not only this, this advanced technical upgrade will also helpful for health and fitness. Yes, it is the first commercially announced integrated ultrasonic-based mobile solution to detect the heart beat and blood flow for improved mobile authentication experiences. Which one is the best chipset or processor in a smartphone or tab? Hope you have the answer for the question. Qualcomm Fingerprint Sensor for Display is the mobile industry’s first commercially announced multi-functional ultrasonic solution capable of scanning through OLED display stacks of up to 1200um. This is the latest development from Qualcomm. Not only this, Qualcomm Fingerprint Sensors for Glass and Metal are the first commercially announced to scan through up to 800 µm of cover glass and up to 650 µm of aluminum, an improvement over the previous generation’s 400 µm capability for glass or metal. Also, Qualcomm Fingerprint Sensors for Glass and Metal are designed to be compatible with the recently announced Snapdragon 660 and 630 Mobile Platforms, and Qualcomm Fingerprint Sensors for Display, Glass and Metal are designed to be compatible with future Snapdragon Mobile Platforms and non-Snapdragon platforms. Qualcomm's technologies powered the smartphone revolution and connected billions of people. Tips: It is safest to buy and use Fingerprint devices these days. Are you looking for the latest Galaxy Tab S3 review? If yes, you may check this article to know more detail about the latest Galaxy Tablet PC device release, technical features and hands on review detail. As you know, Samsung Electronics is very recently released one of the finest gadget called Galaxy Tab S3 after its earlier release of upgraded Samsung Galaxy S8+ smartphone. This tab S3 comes with an advanced S Pen and a 6,000mAh battery with fast charging beside other various factors and features.You can find its detail over here. Samsung released this tab with high-end specification. Galaxy Tab S3 is powered by a Qualcomm® Snapdragon™ 820 processor (Quad Core 2.15GHz + 1.6GHz) which is good news for its user. The tab comes with latest Android 7.0 Nougat OS and supports 3G and 4G LTE FDD and TD. The clock speed is simply awesome. This tab is used for review and experiment on various factor including touch-integrated, indepth detail, different apps usage, drawing practically using S Pen beside working Galaxy Tab S3 with attached/detached pogo mini-keyboard etc. so no separate charging or pairing required. No issue at all and no hanging nor stuck on the go. The device checked as same as Smartphone review, so, nothing much difference on our work to furnish the detail. Galaxy Tab S3 is built with 4GB RAM which helps for smooth work around. The device also comes with 32GB internal memory and it can be expandable via microSD up to 256GB for mass storage. Other than the said technical specification, Galaxy Tab S3 comes with a 13MP rear camera and a 5MP front camera. It has auto focus rear camera with flash. All in all it has 2048 x 1536 (QXGA) display resolution. The device dimension is 237.3 x 169.0 x 6.0 (HxWxD, mm). You would find here Galaxy Tab S3 release and technical specification detail. You can even use Google Daydream gadget with this device to enrich the audio and video result. The device also comes with S Pen which is an additional one from this gadget, the Pen with slide-proof and 9.4mm thick, a fine 0.7mm tip and industry-leading sensitivity, it recognize 4,096 levels of pressure. 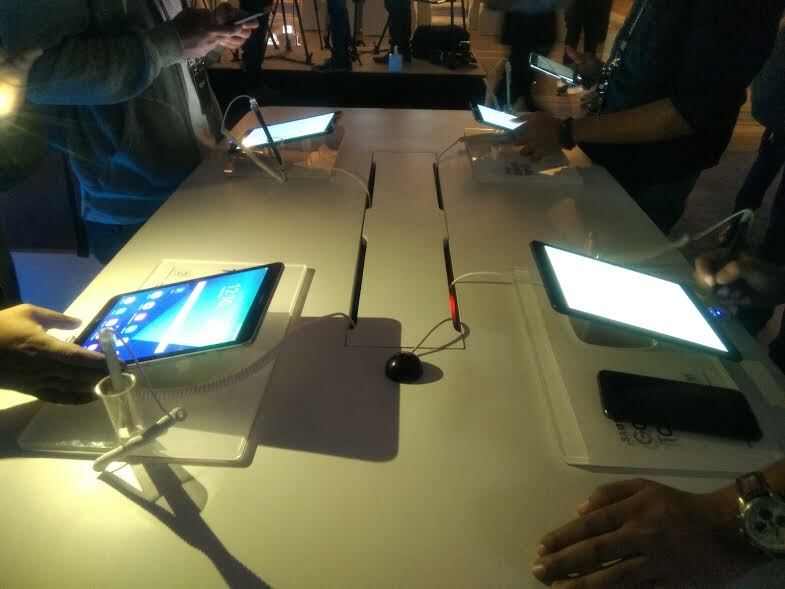 The S Pen provides a comfortable and stable grip, allowing for a more natural handwriting experience overall. The S Pen let users to write or draw on the device without any roughness and the user can easily feel like they are writing from a ball pen on the paper smoothly. The music lover also can enjoy this gadget since Galaxy Tab S3 comes with Quad speakers tuned by AKG and HDR (High Dynamic Range) ready display, so, audio and video is awesome without any disturbances. This stylishly designed tablet comes with metal and glass combined and finishing which let you see again and again while you grab it with a 9.7-inch Super AMOLED display and a 6mm thin metal frame. This tab has three different camera apps, one is normal one and the other two are Line Camera and Candy Camera for kids and drawing features. In addition to this, this tab has Microsoft Apps to use some office work effectively on the go. It is perfectly working for IoT process. Artcanvas app and ArtRage are available on this device which the artist can enjoy them with the various features to show their performance from this device itself. This Android device is most suitable for all whether it could be of apps or the users. Galaxy Tab S3 can enrich the gaming and gamers which really works fantastic on audio and video beside superior multitasking capabilities. The gamer can enjoy the device which is weighs just 434 grams and has an elegant looking glass back. There are some games apps which is already built-in, like, Lego My city 2, Candy Crush, Sleepwalker, Table Tennis, Tom Gold Run and on. Do you think it is better than iPad? I think so from few different specs aspects. The battery 6,000mAh can help users for Video Playback of 12 hours without any poor battery issue. Galaxy Tab S3 is easy to carry around and it can be used for multipurpose whether it could be of official one, personal one or just an entertainment. All in one pack with outstanding features in it. The tab has security features like Remotely locate the device, allow remote lock and erase, scan device for security threats and on. So, nothing to worry about your device security. It has sensors like an Fingerprint Sensor, Accelerometer, Gyro Sensor, Hall Sensor, Geomagnetic Sensor and RGB Light Sensor. Galaxy Tab S3 comes with additional security features too. It has 'Samsung Flow' biometric authentication to log-in and can wirelessly tether compatible devices to transfer documents from a mobile device to a tablet. This could be one of the best Tablet PC in 2017 and the high-specs Tab PC too. You just need to know how to use the Galaxy Tab S3 effectively to take the advantages of it. The theme of the device is Work, Play, MyWay, so, the user can do it accordingly. Galaxy Tab S3 price is around INR 47,990/= with various other offers. Tips: It is safest to buy and use the Tab or iPad devices these days and can help for kids education too. Would you like to know how to open more than 100 websites in just few steps and within few minutes? 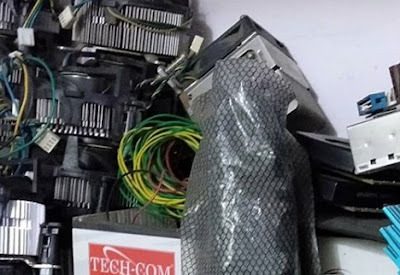 If yes, read this article for more detail on this subject and its tips. If you are normally opening the websites one by one for around 100 websites or more then it may consume times to do so but if you are using the bulk URL opener tool with required domain name to open them though it takes few minutes to do so then still you will save the time to open the websites more than hundred or so. This step is depend on the users, it may or may not help the individuals but will definitely helpful for the database or corporate people of course. I have already given the detail on how to set and get 100 webpage links or more than 10 web page links result per page from Google search engine tool. You can use them effectively for your requirement to get the domain or website of hundred first by copying them all. You can then use those websites (after filtering other than domain) to open in a tool (detail given below) which can result quick opening all the websites automatically than manual one which helps you for time and energy saving. Note: before opening all of them, just try to open one or two clickable URLs result from one of the below said tools in order to know real domain tab than image or browse security verification. This is very important steps to be taken care of before click on "Open All" button to avoid image verification for entire domains which consumes a lot of time beside irritation. It is not necessary that you have to use all the below tool websites to get things done but one is more than enough. I just gave an example of these URL opener websites to use them effectively. Also, it is better to start using all the domain with just www. format than http://www. or https:// etc. You can visit www.openmultipleurl.com or www.urlopener.com websites and paste the entire domains over there (example given below) and submit, once you get clickable link in next step then click on 'open all'. Also, please note that, once you pasted more than fifty or hundred domains on the said tools, sometime it may open only one just and not more than one which the issue is not from the website but it could be your system browser setting to change for excerpt and authorization at privacy setting. You will get its guideline from the same website itself to clear it. Again stating that, before opening all of the bulk URLs from the tool, just try to open one or two clickable URLs result from the given and used tool in order to know the each tab opened certain websites than image or browse security prior verification. This is very important steps to be taken care of before click on "Open All" to avoid image verification for entire webpages. You may add your comment below if you would like to solve your doubt, if any. Tips: The following procedure will help to expedite the work and save time. Are you looking for the latest Tablet PC released in the market detail? If yes, then find its detail herewith. 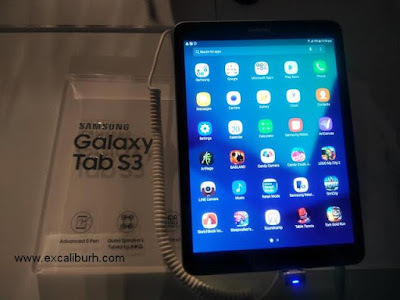 Samsung Electronics released Galaxy Tab S3 (Tablet PC) with high-end specification with various outstanding features in the device, on 20th June 2017 in ITC Gardenia, Bangalore, India. All packed in one larger Tab as their theme says for it - Work, Play, MyWay. This is not a 7 inch Tab PC but 9.7-inch Super AMOLED display and a 6mm thin metal frame. This might be the first Tab that released with super metal and glass combination. The attractive gadget comes with latest Android Nougat, an advanced S Pen for better productivity, Quad speakers tuned by AKG and HDR-ready display. This tab energized by a 6,000mAh battery with fast charging and the battery supports 12 hours of Video Playback. Galaxy Tab S3 is powered 4GB RAM and 32GB internal memory that is expandable via microSD up to 256GB, Tab S3 comes with more power by a Qualcomm® Snapdragon™ 820 processor (Quad Core 2.15GHz + 1.6GHz) on-board, and runs Google's Android 7.0 Nougat operating system. 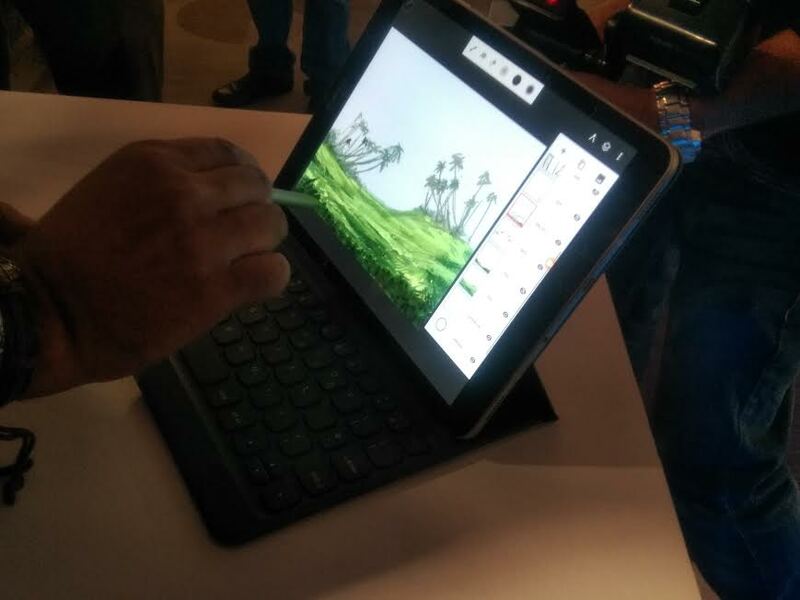 The Galaxy Tab S3 tablet is offered with a 13MP auto focus rear camera with flash and a 5MP front camera and supports Pogo keyboards that require no separate charging or pairing. The stylishly designed Tablet Samsung Galaxy Tab S3 in India offering a premium on-the-go experience for users. As you know recently Samsung also released Galaxy S8 plus smartphone upgraded one which also going well. Galaxy Tab S3 delivers superior video and gaming experience along with superior multitasking capabilities and versatile usage as a productivity device with the advanced S Pen in-box which would also helpful for digital content enthusiasts. 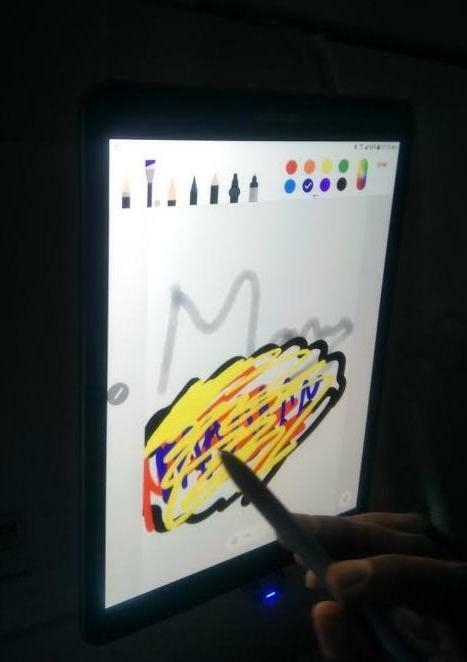 Advanced S Pen: Galaxy Tab S3 comes with S Pen ever and does not require any charging or pairing, placing a powerful creativity and productivity tool in users’ hands. HDR (High Dynamic Range) Ready: Galaxy Tab S3 support videos in HDR for true-to-life colours and vivid digital content viewing experience. Samsung Flow: Samsung Flow for a safe and secure login, uses biometric authentication to log-in and can wirelessly tether compatible devices to transfer documents from a mobile device to a tablet. Samsung Music: Galaxy Tab S3 is the first Samsung tablet to feature a four stereo setup tuned by AKG, owned by Harman International, that provides rich surround sound for a premium visual and listening experience. I am sure that music lover can enjoy it on-the-go. The sound creating a more accurate and consistent listening experience from its finest tech development. Graphics: Galaxy Tab S3 is powered by the Vulkan API and GPU for superior graphics and Game Launcher with a ‘Do Not Disturb’ mode for uninterrupted gameplay and enhanced user interface for a personalized gaming experience. With this holistic video and audio experience, gaming on this device is a pleasure. Optimized for gaming: The Game Launcher also helps users get more out of their gaming experience, allowing them to optimize their device’s battery to lengthen a gaming session and also live-broadcast their gaming. There is no cons found except little higher price. Rest assured like a Paisa vasool device. Would you like to know where to buy Galaxy Tab S3 as best deal? Don't worry, you can buy it any retail store effective today. You can also buy from reputed online stores even with EMI offers. Hurry up. 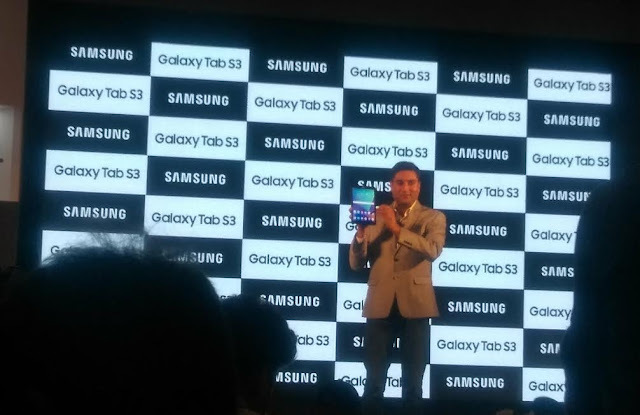 Galaxy Tab S3 price: INR 47,990. It will be available across retail stores starting 20th June 2017. Please feel free to post query or clarification on Galaxy Tab S3 device. Tips: Tab is really helpful device to keep in touch all on the go. Would you like to know what is Google Daydream View? If yes and interested to know the newest things from Google then find GDV detail over here. What is Google Daydream View? Google Daydream View is nothing but it is an advanced headset and controller which the user can use and enjoy it for view and a virtual tour. It is designed and developed by Google, Daydream View delivers simple, high-quality VR. Google Daydream View is a headset which made with soft, breathable fabric and is designed to fit over eye glasses. It has an auto-alignment system so users don’t have to worry about cables or connectors. The view and tour could be of a world-renowned museum or see extinct animals come to life and much more with. With Daydream View, the end users can always get the best seat in the house. Experience sports, live events and more in full 360° panoramic view. What else one needed advanced at the moment to enjoy the entertainment and relax? In addition to this, now the users can watch top shows, movies and even YouTube, distraction-free, on their own virtual big screen from Google Daydream View. It promises users a mesmerizing experience, swim with a pod of dolphins, stand at the edge of a volcano and even visit Pluto with Daydream View. Users can teleport from virtually anywhere to pretty much everywhere. It can also be as IoT for the users. Would you like to know which smartphone can be supported Google Daydream view? If yes, read further detail. Google’s Pixel and Pixel XL smartphones are the first Daydream-ready phones which would enrich the end user experience on complete entertainment. The user also can experience Daydream on the Moto Z and coming soon to Samsung Galaxy S8 and S8+ devices. This feature will support on advanced gadgets which shall have powerful processors, high-resolution displays and high-fidelity sensors—all tuned to support great VR experiences. A big part of what makes Daydream View special is the controller from this Google gadget. This small yet powerful controller lets users interact with the virtual world the same way they interact with the real world around them. Daydream View of Google is packed with sensors that respond precisely to a user’s movement and gestures, what else do you want more? The user can swing it like a cricket bat or wave it like a magic wand. Doesn't matter and it will work fabulously. When you’re done using it, slide it into a specially-created area within the headset and never worry about losing it in a bag or between couch cushions. Please see the above image given for its secure. Mr. Clay Bavor, Vice President of Virtual Reality and Augmented Reality at Google says some points as stated above beside "their aim is to make the VR experience mobile so that customers can easily carry it anywhere with them. Clay Bavor further added, we at Google are also working with developers, smartphone companies, and content creators to make VR accessible to all." Google Daydream View price: Rs. 6,499/= (Available on Flipkart right now). Tips: This device can use anywhere and portable too to use on the go. Are you looking for the information on the latest smartphone from Nokia? If yes, find its detail over here. 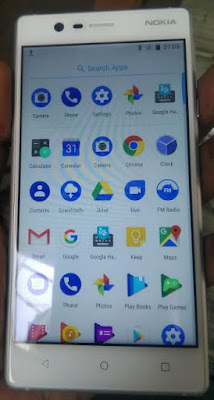 Nokia has recently released couple of outstanding smartphones after much awaited them globally by its fans after Nokia HMD pre-launched on these gadgets. This time they have released Nokia 6, Nokia 5 and Nokia 3 smartphones with latest Android OS in it. We have furnish the detail about Nokia 6 technical specification and price detail over here for to have a look on it. Time being you can also check Nokia 3 smartphone detail along. Nokia has released superior craftsmanship and powerful entertainment device called Nokia 6 with a 5.5” full HD screen, an immersive audio experience and a premium smartphone. More important, Nokia 6 is powered by Qualcomm® Snapdragon™ 430 mobile platform and the Qualcomm® Adreno™ 505 graphics processor beside sculpted Corning® Gorilla® Glass. 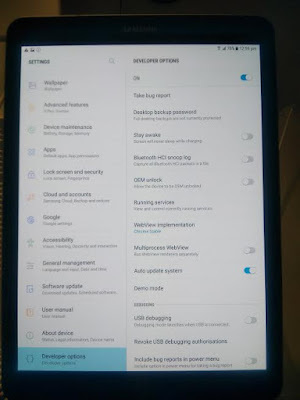 Nokia 6 comes with the latest Android OS (Nougat) from Google with guaranteed monthly security updates for safe and up-to-date and clutter-free. This is more important on OS updates of their each device in order to secure the things around. Doze has come, the end user can enjoy by saving the battery life on the go with the Nougat and its latest features including Doze. The Nokia 6 is architectured from a single block of 6000 series aluminium and beautiful to hold it for the calls and entertainment credentials. The user can enjoy the playgames as well from this quality gadget with Dolby effect. Nokia 6 comes with dual speakers whilst Dolby Atmos® sound. Nokia 6 can be experienced with excellent sunlight readability. The Nokia 6 is available in four distinct colors like Matte Black, Silver, Tempered Blue and Copper. You may find Nokia 6 review (hands on) with more detail anytime soon. 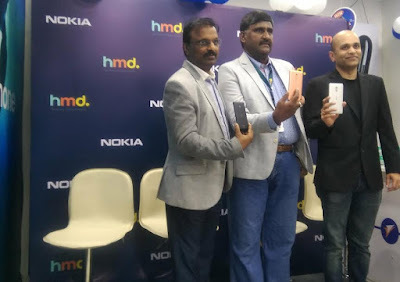 HMD Global / Nokia has appointed over 400 distributors across nation to support its range of smartphones and feature phones. Nokia smartphones and feature phones will be available at more than 80,000 retail outlets across the country. Would you like to know the latest A4 colour multifunction printers released from Ricoh? If yes, please find their detail over here. Ricoh India Ltd, a leader in the field of Imaging Solutions and IT Services, on 12th June 2017 announced the launch of two new models of colour multi-function printers (MFPs) - MP C307SP and MP C407SP. They comes with high-end specification, features and resolution in one go. Please find their specification, features and price detail below. The Smart Operation Panel is powered by a high-speed 1.46 GHz Intel processor from these Ricoh MP C307SP and MP C407SP printers. They offers smooth operation packed with a variety of advanced software solutions that suits different office requirements. The MFPs are equipped with Single Pass Document Feeder (SPDF) that allows two-sided scanning at a speed of up to 80 images per minute (ipm) to maximize office productivity. They have designed for fast-paced businesses with non-stop print and document management requirements, these efficient devices are packed with easy-to-use smart features that boost user performance. The small footprint of the machine enables it to be installed for any type of work group, even with a compact working space. Ricoh MP C307SP and MP C407SP models leverage advanced Workstyle Innovation Technology to offer businesses the opportunity to improve efficiency and raise productivity whilst effectively managing printing and energy costs. About Ricoh: Ricoh is a global technology company for more than 80 years. Ricoh continues to empower companies and individuals with services and technologies of document management systems, production print solutions, IT services, visual communications systems, industrial systems and digital cameras. Do you know much awaited Nokia 3 smartphone is released in India on 16th June 2017 in Bangalore? If not, read this article for more detail on Nokia 3 releases, technical specification, features and price detail etc. HMD Global, the home of Nokia phones, on 16th Jun 2017 announced the sales start for the Nokia 3 smartphone beside its other gadgets. Nokia 3 is a stunning new smartphone designed to enrich the end users experience and as a teaser. Nokia 3 has a precision machined aluminium frame forged out of a single piece of aluminium, laminated 5” display with sculpted Corning® Gorilla® Glass and seamlessly integrated 8MP wide aperture cameras (front and back). 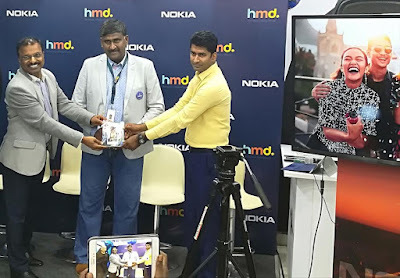 The company delivered the Nokia 3 to first consumers at Sangeetha Retail in Bangalore on 16th Jun 2017 after its recent launched in New Delhi couple of days back, and Nokia Hmd pre-launched Nokia 6, 5 and 3 smartphones including well known, upgraded and new Nokia 3310 mobile phone just few weeks back. The Nokia 3 packs a truly premium quality smartphone which the end user can experience its compact and elegant form. The Nokia 3 is powered by Android Nougat OS in its pure form with guaranteed security update. Nokia 3 smartphone will be available across top mobile retail stores in the country at a recommended best buy price of Rs. 9,499/-. The Nokia 3 comes with Matte Black, Silver White, Tempered Blue and Copper White. The Nokia 3 has definitely quality craftsmanship with lesser price. The device let you look on it again and again due to its unique design, attractive finishing and recalling the past about the brand. Nokia 3 onboard with a precision machined aluminium frame and polycarbonate back, plus protection where needed. Pranav Shroff, Director, Global Portfolio Strategy, HMD Global, said “We’ve thought hard about how the phone will be used, and then crafted a beautiful device to make sure it looks as good as it performs.” “Premium is an experience, not a price point. We’ve been extremely thoughtful about the overall performance of the Nokia 3, to ensure that a premium high quality experience is fully accessible for everyone". 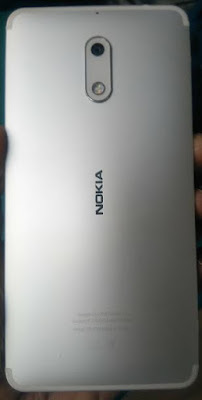 Nokia 3 price: Rs. 9,499/-. HMD Global has appointed over 400 distributors in India to support its range of smartphones and feature phones. Nokia smartphones and feature phones will be available at more than 80,000 retail outlets across the country. You will also find the Nokia 3 review over here soon, so, stay tuned. Are you X Box gaming lover? 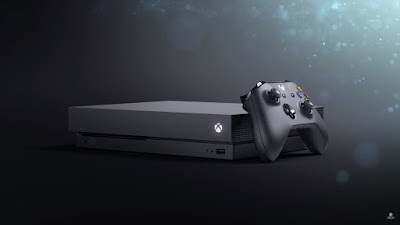 Do you know recently X Box One X launched? If not, kindly check this article to know more detail about X Box One X launches and its feedback a bit. There was a launch event on X Box One X and gaming people around the world eagerly waited for its launches and I am one of them as well. The feature of X Box One X is all about the advanced console game from the previous one and it is also with VR. What else? You may find some more new games in it to enjoy the pretty device. 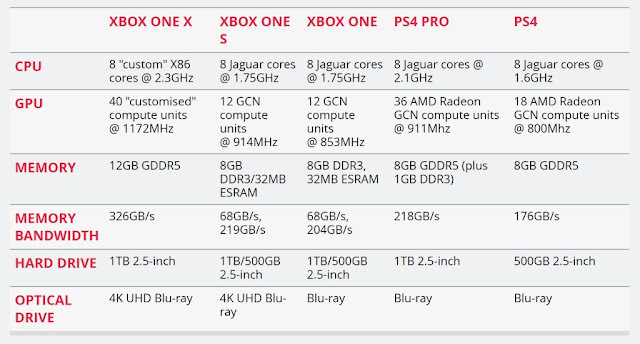 Would you like to know more about new versions of consoles? If yes, please read it. X Box One X was launched on-time as expected. Please find its launches and features a bit. The recent X Box Luckys tale is colorful and cute. This is one of the best device to play the advanced game. The hardware of the latest X Box looks pretty good. If you are a gaming fan of Nintendo Switch, Xbox, and PS4 slim etc. then find some of the features on Xbox One X. Yes, Microsoft's E3 Event was all about the latest Crackdown 3, Forza Motorsport etc. and they are pretty nice to go with. 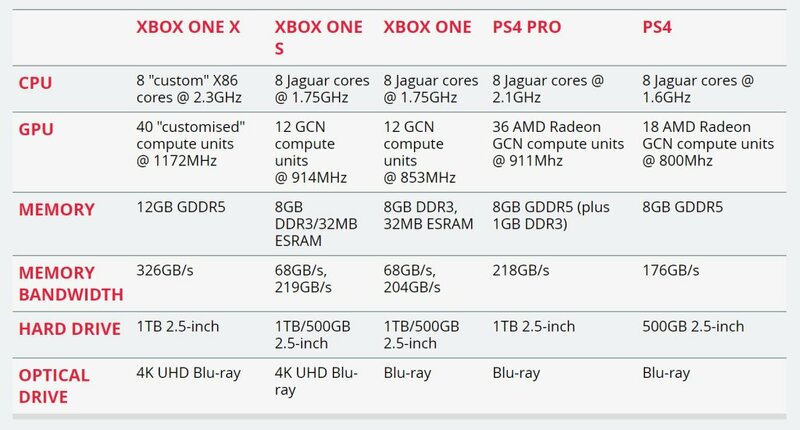 The minimum configuration requirement for the Xbox One X chart is attached herewith, please check them to enjoy the game. Having a console for playing game to the last is pretty freaking sweet. Why not? You can watch or play game from Xbox One X with 1080p stream-in that will crisp. Some says AssassinCreedOrigins game is super (Origins and Metro Exodus etc. ), few says Time Splitters game is better one and other says a different one. 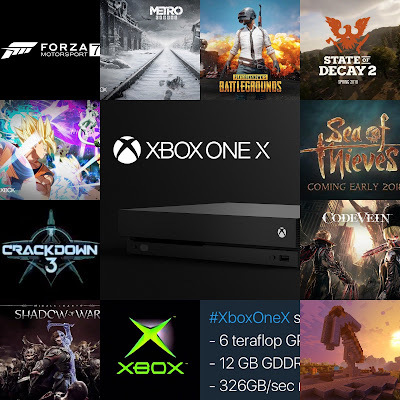 There are few new and upgraded games will come soon, one of them is Crackdown3 will be launches officially on 7th November for Xbox One X. Many excited to grab their one X. The first game was amazing as per demo. We will write more about the technical specification, features and review of X Box One X, soon. In general, One X performance is amazing as per the introduction and the team who work behind this must be appreciated. The team can write up an article about the challenges that went into making this work. You can find various detail at social networking sites too with the hashtag of XboxE3. 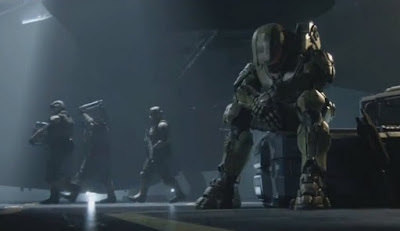 All images courtesy: Xbox and social networking sites. Do you think no real AAA game in Xbox One X? Are those games better than Persona 5, Uncharted 4, and The Last of Us etc.? Please add comment then. Hope this article was helpful to you and we welcome your comment, if any. Thanks for visiting. Have a nice day! Would you like to know how to set and get more than 10 webpage links result per page from Google Search engine? If yes, read this article to know few simple steps and guideline on easy setting to get 100 links result per page from the search engine. Try to type as www.google.com whether in Google Chrome or FireFox or other browsers to get the exact setting option first. This way you will get 'setting option' for obtaining 100 webpages link result than just default 10 webpages link from Google search results. Once you typed as stated above (www.google.com), you will then find 'setting' option anywhere like mostly right side bottom of the screen - as shown on the screen-shot below. The next step is, click on setting option to go to next step - as shown in the below screen-shot. Try to move button option to "Never show Instant results" from any other two options under "Google Instant predictions" column. The next step is, Result per page in next column, you just need to move small white button from 10 to 100. Make sure it doesn't come back to 10 after brought it to 100 as it sometime happens. Once everything is OK with 100 option, you may then go to bottom of the screen. The final step is, click on "Save" the setting just done. Once it is saved, you may then get the 100 links results per page from Google Search for whatever keyword you searched for. Also, make sure that whenever you switch-on the computer then the setting is the same one or else you have to change the setting again for 100. Hope this tips on how to set 100 pages result than 10 in Google search helped you for sure. You may add comment for any query. Samsung India launched (on 1st Jun 2017) a new variant of Galaxy S8 plus with 6GB RAM and 128GB internal storage, after the huge responses to its recently-launched flagship smartphones Galaxy S8 and Galaxy S8+. Would you like to know more detail on the latest Samsung Galaxy S8 and S8 plus devices? If so, read this article to enjoy their in-depth information, and S8+ review related info soon. This device comes with "Infinite" option on everything. The huge RAM of 6GB is infinitely powerful and allows multitasking with immaculate efficiency while using dual SIM. This is one of the best high-end smartphone in 2017. The Samsung Galaxy S8+ with 128GB memory besides its sleek and premium design. S8+ launched with 128GB storage that is flawless and smooth for dual SIM and requires large memory. This is after the Galaxy 8 Smartphone release. Galaxy 8+ Camera: S8+ comes with 12MP rear camera with DPT (Dual Pixel Technology) and 8MP front camera with smart autofocus, with F1.7 aperture for the best image/video result. You would have so far experienced to use any of the Samsung smartphone and its camera results, so, nothing to worry on this. Samsung Galaxy 8+ have the best low-light camera and personal assistant, Bixby. The gadget has stunning design and meaningful innovations that create history and fans grows too. Galaxy 8+ Entertainment: MOBILE HDR PREMIUM (certified by the UHD Alliance) helps watching favourite shows and offers next-level gaming experience with vivid and superior graphic technology, as well as Game Pack, featuring top game titles, including select titles supported by the Vulkan API. The end user can enjoy the low-level and advanced game in one go. Water & Dust Resistant: IP68 / fresh water up to 30mins. The resounding success of the recently launched Galaxy S8 and Galaxy S8+ underscores the unmatched superiority of Samsung in the premium smartphone segment. It is the ultimate device for power users who aspire to explore new possibilities, are always on top of their game and for whom multi-tasking is a way of life,” stated Mr. Asim Warsi, Senior Vice President, Mobile Business, Samsung India. Samsung Galaxy S8+ 128GB price: INR 74,900* (available from 9th Jun 2017 at Flipkart) + free Wireless Charger as introductory offer. You may visit official website of Samsung at http://www.samsung.com/in/smartphones/galaxy-s8/ for more detail and booking as well.